The Grand National, GNX and T-Type will reportedly come back into Buick’s stable after nearly three decades of absence. 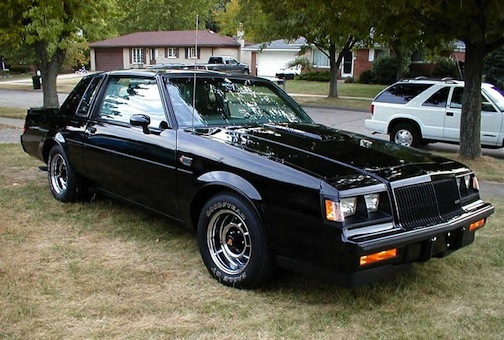 If you’re like me, one of your first thoughts upon hearing this news is wondering if GM will simply offer a blacked-out Regal with the GNX nameplate, hope to attract some sentimental fans from the 1980s and call it good. However, this looks like the real deal, complete with a new RWD platform from the hot-selling Cadillac ATS and power that could reach, or even exceed, 400 hp. Three automotive icons of the 1970s and 1980s could be well on their way back to modern society. And why not? Plenty of companies have seen success with bringing retro designs and brands back to experience new life and make new sales. The Mustang, Camaro and Challenger trio remains the most obvious example. The reinvention of the Dodge Dart also proves the point. Going beyond cars, the Star Wars saga will reappear in U.S. theaters, and the band Queen will play a new show (though with a very questionable stand-in for the great Freddie Mercury). Nissan, BMW and Buick hope there is room for at least three more pieces of automotive nostalgia. Nissan will resurrect its Datsun brand, BMW has applied for a patent on the Triumph name and logo, while tuning house SLP, which owns the rights to the fabled “GNX” name, reportedly has plans to transform a Buick Regal GS into the car everyone still refers to as Lord Vader’s ride.